Helianthus giganteus, of the sunflower Mrs. William Starr Dana said, "In late summer many of our lanes are hedged by this beautiful plant, which, like other members of its family, lifts its yellow flowers sunward in pale imitation of the great life giver itself." It has been said of the sunflower that it follows the sun in its daily course across the sky. 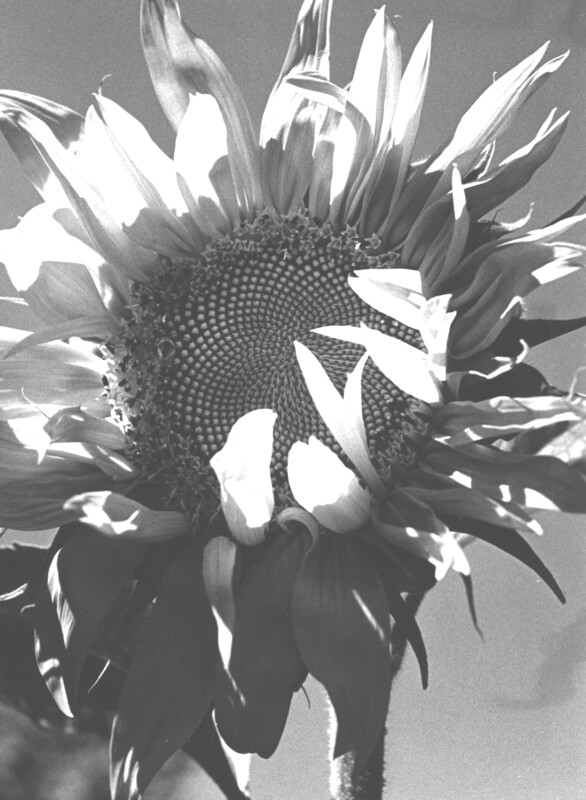 This makes SHAMOS much like the sunflower with its solar bearing taken before every field survey. SHAMOS, for the most part, follows the sun and that's what is its utility in this application. Once a horizon file is recorded for a given location and the transit is oriented by solar bearings, the recorded data for that specific location becomes the background for SHAMOS to track all motions of the sun. The possible daylight hours are completely calculatable for any season, day, month or year. Through the utility of SHAMOS it is possible to calculate the hours and flux of solar energy for a given location. This may not be an issue on many agricultural properties but for some which may be heavily shadowed by high mountains or canyon walls, it could become a factor in deciding what crops could be practical in that location.